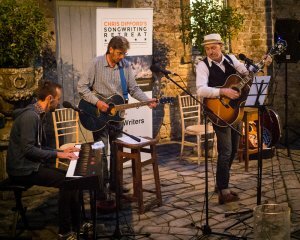 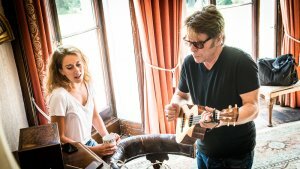 During a week of balmy summer weather in June, Pennard House welcomed back Chris Difford and his cohort of budding musical artists for the Chris Difford Songwriting Retreat. 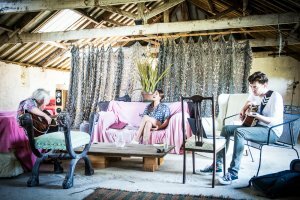 It is a week where Pennard comes alive with music. 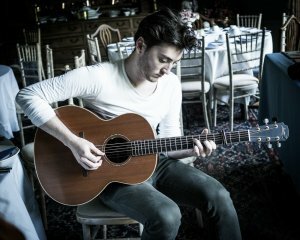 Sponsored once again by the Buddy Holly Educational Foundation, this year there were a total of 40 artists from around the world, both successful and up-and-coming songwriters and artists spanning all music styles. 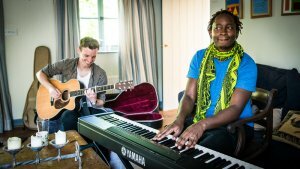 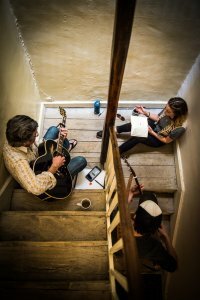 Every day they broke up in to groups to write songs, using any available space in the house, gardens and even the village hall. 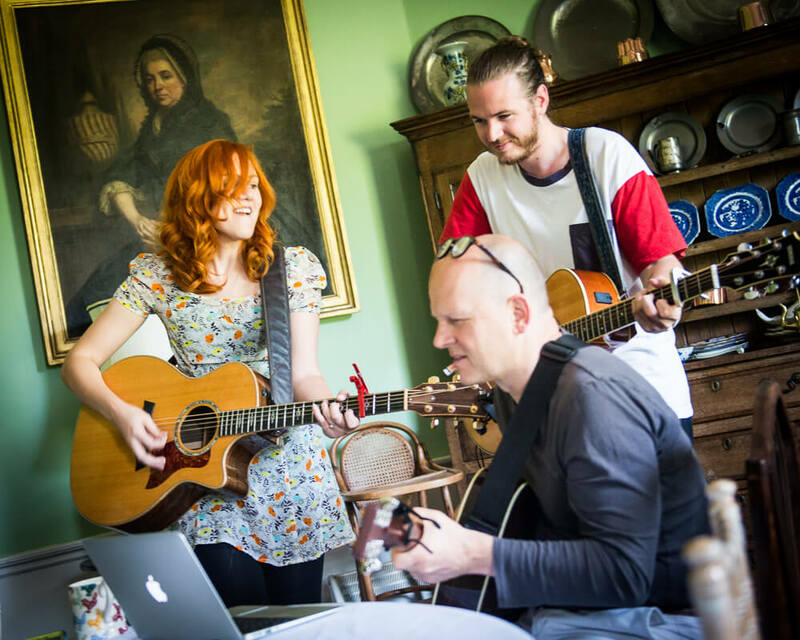 The songs they wrote that day were performed in the evenings in the Coach House, which local villagers came to listen to. 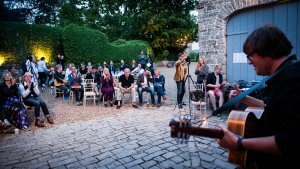 One evening we were lucky enough to have some incredible acoustic performances outside the Coach House. 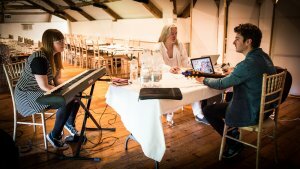 The final evenings performances saw the best songs of the week played in a concert in East Pennard village church. 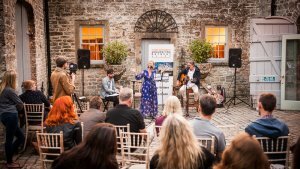 It was packed full of almost 150 spectators who got to see incredible performances by Kimmie Rhodes, Robert Vincent, Louise Goffin, Beth Neilson-Chapman, Judith Owen, Grace Pettis, Julia Fordham to name a few. 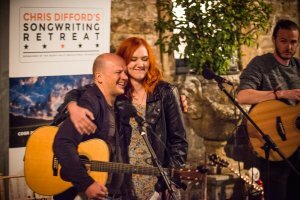 All presented by Chris Difford (Squeeze) and ‘Whispering’ Bob Harris. 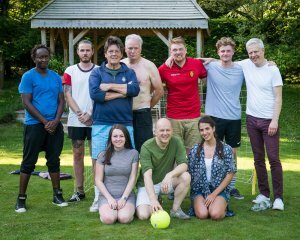 Below we share a photo round-up of the week at Pennard. 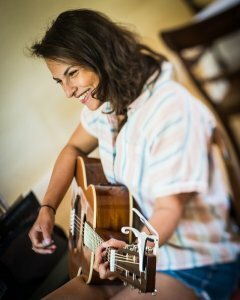 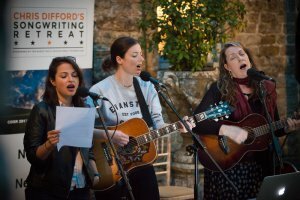 If you haven’t heard The Pennard House Song – an example of the sounds and songs created at this songwriting retreat, have a listen here. 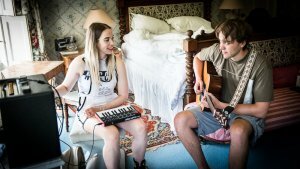 And if you missed the article in the Telegraph Property about Pennard House, published at the time of this songwriting retreat, you can read it here. 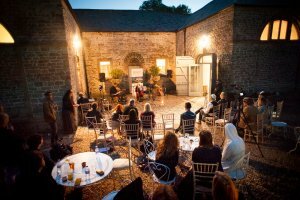 Should you like what you read, and are interested in hosting A Retreat of Your Own with us, please get in touch.